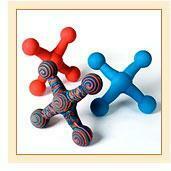 Rubber shapes, as the name suggests, are available in various shapes and sizes. Rubber shapes are formed through various processes like molding, casting and extrusion. In terms of filler materials for rubber shapes, some shapes contain chopped, continuous, wound, or aramid fibers. Others rubber shapes contain carbon or graphite powders, glass or metal fillers, inorganic or reinforced compounds. There are unfilled elastomer and rubber shapes also available. Some products are used in aerospace, marine, automotive, tooling and military applications. There are rubber shapes designed for electrical power and high voltage products like generators, transformers, circuit breakers, and motor assemblies. Shapes are also available for semiconductors and integrated circuit (IC) packaging. Rubber shapes that are suitable for medical, pharmaceutical, and food processing need to satisfy the requirements of various agencies. In the United States, the agencies are like Food and Drug Administration (FDA) or the US Department of Agriculture (USDA). There are rubber shapes used by original equipment manufacturers (OEMs) and repair, maintenance and overhaul (MRO) organizations. While selecting rubber shapes, dimensions and features are to be considered. Electrical insulation: The important electrical properties are resistivity, dielectric strength, and dielectric constant. Thermal insulation: These include temperature range, thermal conductivity, and the coefficient of thermal expansion. Mechanical properties: The mechanical properties include tensile strength, tensile modulus, and elongation. Optical properties: These properties include index of refraction, a measure of the speed of light in a material, and transmission. There are rubber shapes which prevent electromagnetic interference (EMI), radio frequency interference (RFI), and electrostatic discharge (ESD) are also available. These rubber shapes have high electrical conductivity and low electrical resistivity.